The socialite with a humongous ‘German Juice’ Risper Faith seems to have followed the steps of her ‘partner in crime’ Vera Sidika. 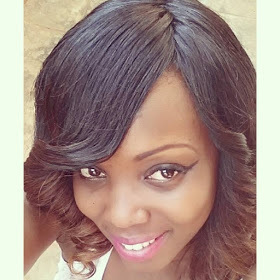 The socialite who claimed that she has seen the ‘light’ some few months ago has been flooding her social media pages with her photos and rumor has it that she has bleached her skin judging from her latest photos. Her skin tone has changed tremendously and she looks like a pointee right now! Did you notice anything weird about the photos, well, if you didn’t then please go for an eye check up.